Systematic reviews and meta-analyses represent the highest level of evidence in the hierarchy of clinical evidence of medicine, and becoming increasingly popular in multiple domains [1–3]. Since 1986, over 30,000 systematic reviews and meta-analyses reports have been published, and the number continued to increase rapidly . 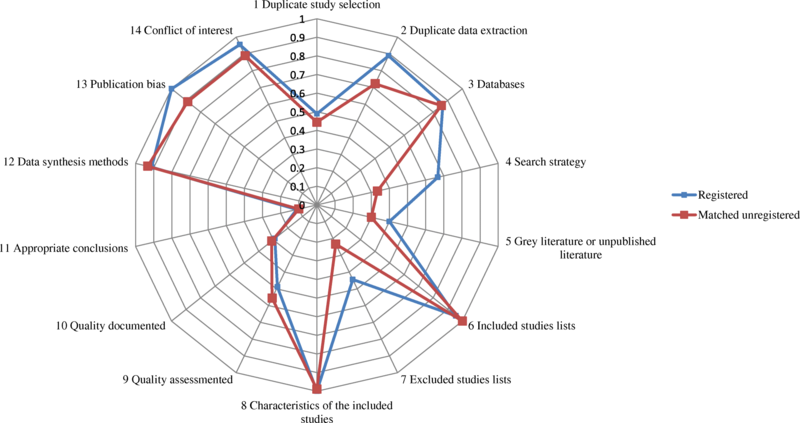 The extensive growth however partly contributes to overlapping production of systematic reviews and unnecessary duplications [5–7]. The quality and value of such works has been questioned by the scientific community for causing confusions and research waste [4, 8]. We included dose-response meta-analysis (DRMA) of binary outcomes, without limitation on the design of original studies that included in a DRMA. A dose-response meta-analysis was defined as a form of meta-analysis that combines dose-response relationship between an independent variable (e.g. sleep duration) and an outcome variable (e.g. 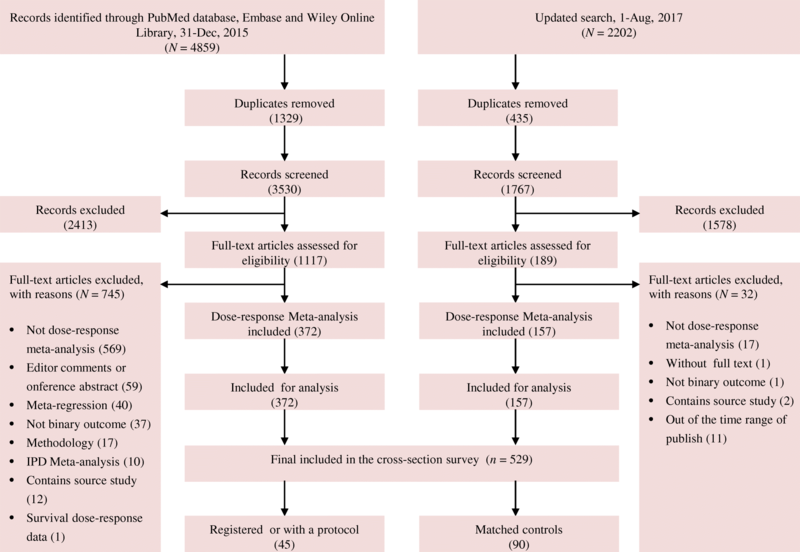 all-cause mortality) from similar studies [16–20]. This requires a within study dose-response relationship so that the traditional meta-regression were not covered . 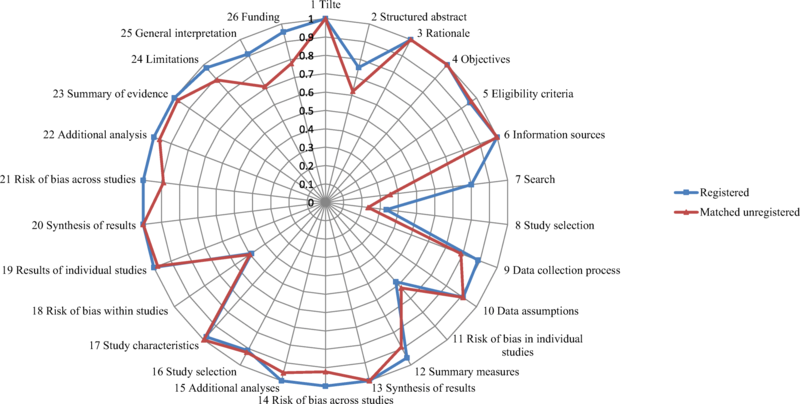 To distinguish meta-analysis and pooled analysis, the term “meta-analysis” should contains thorough systematic review components, which has been defined by the Cochrane handbook . Following a common approach [22–24], we used the AMSTAR 1.0 checklist (Assess Methodological Quality of Systematic Reviews, AMSTAR) to assess the methodological quality and the PRISMA checklist (Preferred Reporting Items for Systematic Reviews and Meta-Analyses, PRISMA) to assess the reporting quality of included DRMAs [10, 25, 26]. We used AMSTAR 1.0 because version 2.0 was yet to be released in that period. For AMSTAR, we made slight modifications by disaggregating four items. For example, we changed the item “was there duplicate study selection and data extraction?” into two questions: was there duplicate study selection? and was there duplicate data extraction?. We removed the item “was an a priori design provided?”, because this item specifically addresses the issue about our exposure of interest. These modifications resulted in 14 items (Additional file 1: Appendix 2).